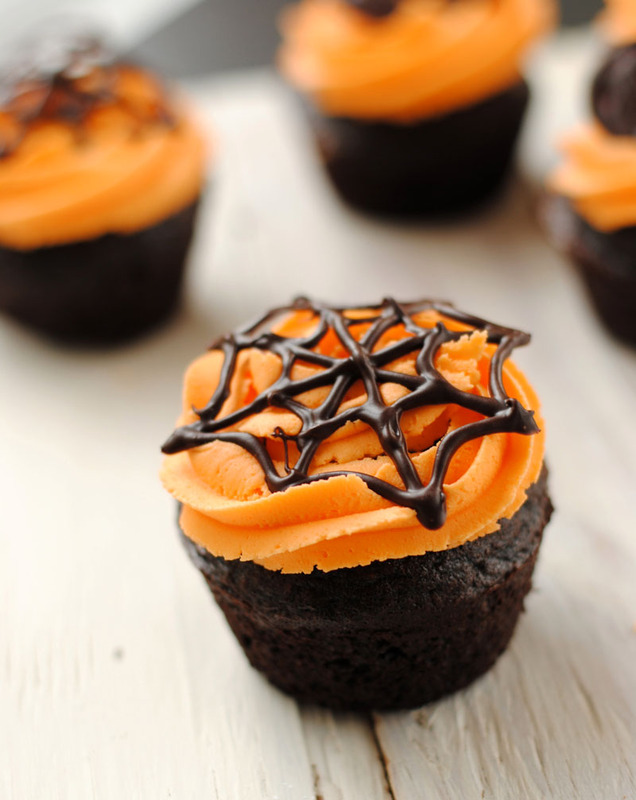 But I love an excuse to bake cupcakes, and Halloween offers up some pretty cool decorating options, like these chocolate spider webs and pumpkins. So how do you make them? Simply melt chocolate and pipe it onto a sheet of parchment or tin foil, then pop the designs into the freezer for a few minutes. If your kitchen is as warm as mine, the webs will soften over the top of the cupcakes and create a cool effect. The recipe for the cupcakes and frosting are below the cut! Preheat oven to 350F and grease or line your muffin tin. In a large mixing bowl, combine the cocoa, flour, sugar, baking soda, baking powder, and salt. Add the eggs, water, buttermilk, and vanilla, and mix until the lumps are gone, scraping the bowl as you go along. Fill the muffin tins 3/4 full, and bake for 20-25 minutes, or until a toothpick pulls out clean. Let cool. 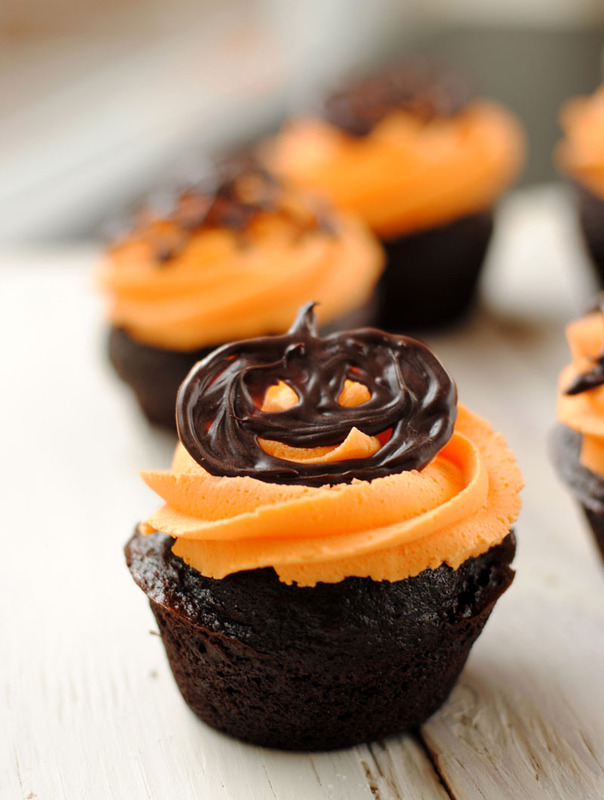 To fill with pudding, slice off a circle in the top of the cupcake, much like you would when removing the top of a pumpkin for carving. Plop some pudding into the hole, and press the cupcake lid back down. Easy! Whip butter in bowl of a stand mixer. Gradually add icing sugar and vanilla until desired consistency is reached. Beat in food colouring until evenly orange. If icing is too thick, add a tsp of milk or cream at a time until it softens.